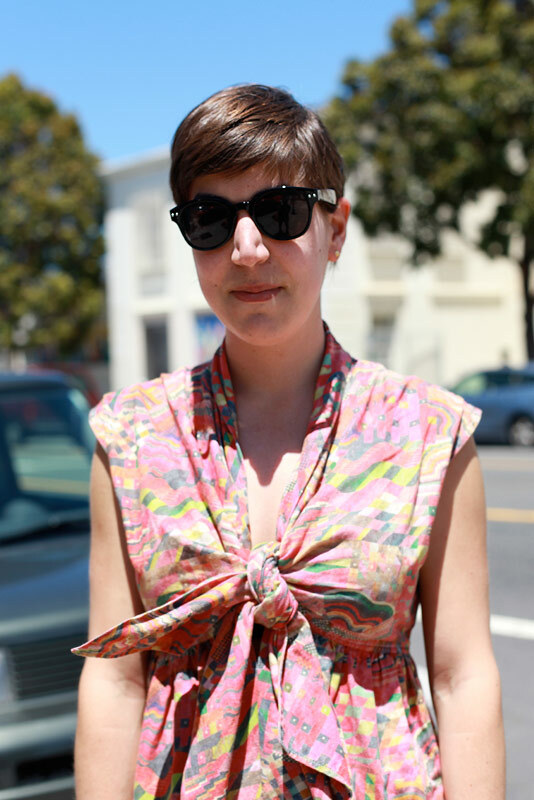 "I think just the fact that it's so sunny today and I just like bright colors." This dress is by Mocion (can't find the website). I love the faded yet bold fabric pattern. It's "Mociun"... here is the website! Thank you @modest_typewriter_vintage! Sometimes my (lack of) hearing + wind makes it difficult to comprehend my playback on my recording.